A diagnostic medical sonographer is a medical professional who assists physicians by providing patient support through the operation and maintenance of medical imaging equipment. The ultrasound is a vital tool in determining the rate of newborn development as well as diagnosing certain medical conditions. Operating a successful mobile ultrasound service depends heavily on negotiating the intricate details of the often challenging start-up process. Obtain industry knowledge. While a background in the field is not needed to start this type of business, training in diagnostic medical sonography is available through several organizations that offer a health care-related curriculum. Kaplan University, Virginia College and DeVry University are among the larger online schools that offer DMS courses. In addition, the American Registry for Diagnostic Medical Sonography provides a wealth of training and certification information which is readily available online. Secure financing for your business. First, determine your start-up expenses by creating a line-item write-up of all projected equipment, salary, travel, fuel, maintenance, rent and overhead-related operating costs. Next, explore the available avenues for financing by placing phone calls, sending email, and making appointed visits to banks, loan institutions and business assistance offices. You may use your existing savings to start your business or you may seek loan, grant or credit card financing. Information regarding business start-up financing assistance is available online and in the government pages of the local phone directory. In addition, local One-Stop business assistance offices and Small Business Administration centers are easily accessible in most major cities nationwide. Register your business. Choose the business type that best fits your start-up goals. A sole proprietorship, a partnership, a limited liability company, and an S corporation are a few of the business structures to choose from. Currently, the start of a mobile ultrasound business does not carry any specific state or local medical licensing requirements. County and municipal business offices can provide a wealth of information on application fees, trade name registration, and zoning restrictions. Information on state and local government business resource centers are available online, in public libraries and in the government pages of local phone directories. Purchase equipment. Mobile ultrasound businesses rely heavily on transporting diagnostic equipment to locations where imaging and consults take place. You must decide what type of imaging you will conduct (2D, 3D or 4D) and the type of equipment that may be needed to capture and produce imagery for your clients. You must also purchase computers, computer peripherals, software and communications equipment to properly operate your service. You may purchase new or used equipment, or pursue a lease agreement with a medical device distributor. Franchise opportunities are readily available with this business type. Many franchisers will offer the full complement of necessary equipment with the purchase of the franchise package. Find customers. 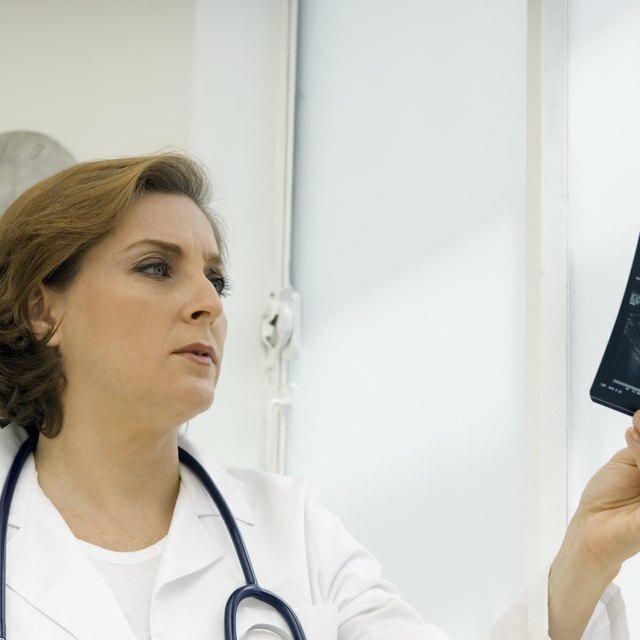 Private medical practices may generate the bulk of your mobile ultrasound business clientele. To promote your business and tout your services to potential partners, create professional correspondence such as fliers, brochures, and business cards. You may also seek networking opportunities by joining local medical business groups and attending medical conferences, seminars and workshops. You can also promote your services through the use of classified advertising. Print advertising opportunities are available through local periodicals like newspapers, local health-care magazines, and newsletters. You may also make use of well-known online classified sites. Your local area government may provide specialized business development programs and projects aimed at promoting small business development.